PostgreSQL uses buffered I/O. If you want to test your storage subsystem capabilities with database physical I/O you have to get the OS page cache “out of the way”–unless you want to load really large test data sets. 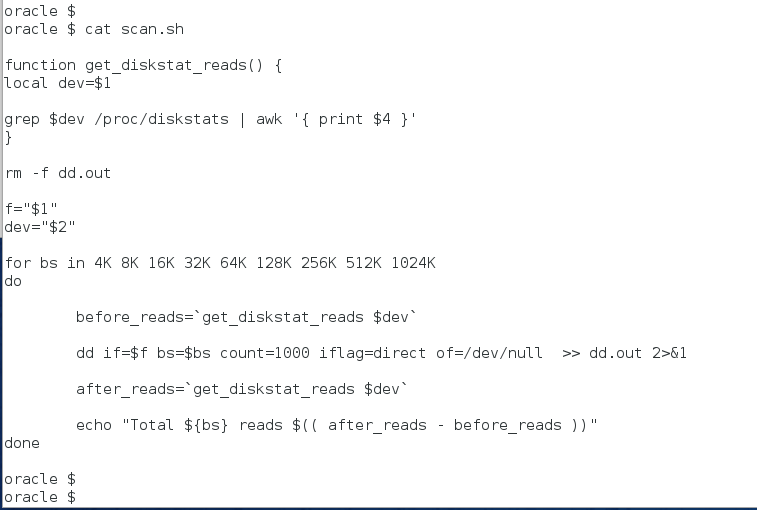 Although pgio (the SLOB Method for PostgreSQL) is still in Beta, I’d like to show this example of the tool I provide for users to make a really large RAM system into an effectively smaller RAM system. Memory allocated to huge pages is completely cordoned off unless a process allocates some IPC shared memory (shmget(1)). The pgio kit comes with a simple tools called pgio_reduce_free_memory.sh which leverages this quality of huge pages in order to draw down available memory so that one can test physical I/O with a database size that is quite smaller than the amount of physical memory in the database host. The following picture shows an example of using pgio_reduce_free_memory.sh to draw set aside 443 gigabytes of available memory so as to leave only 32 gigabytes for OS page cache. As such, one can test a pgio database of, say, 64 gigabytes and generate a tremendous about of physical I/O. I should think this little tool could be helpful for a lot of testing purposes beyond pgio. Now that pgio (the SLOB Method for PostgreSQL) is in Beta users’ hands I’m going to make a few quick blog entries with examples of pgio usage. The following are screen grabs taken while loading 1 terabyte into the pgio schemas. 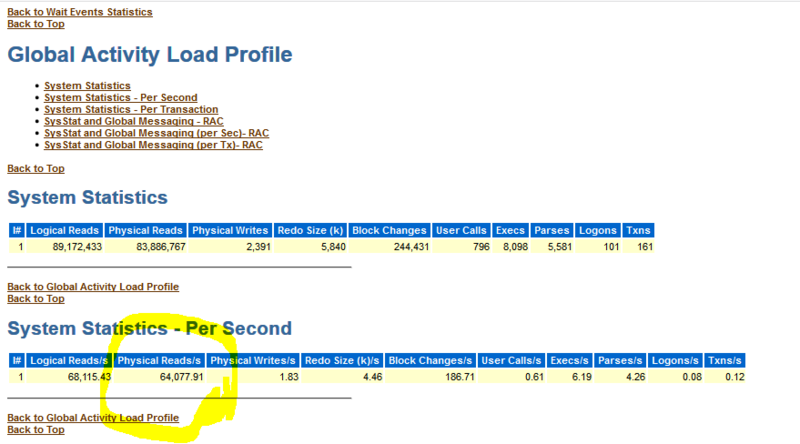 As the example shows, pgio (on a system with ample storage performance) can ready a 1 terabyte data set for testing in only 1014 seconds (roughly 3.5TB/h loading rate). 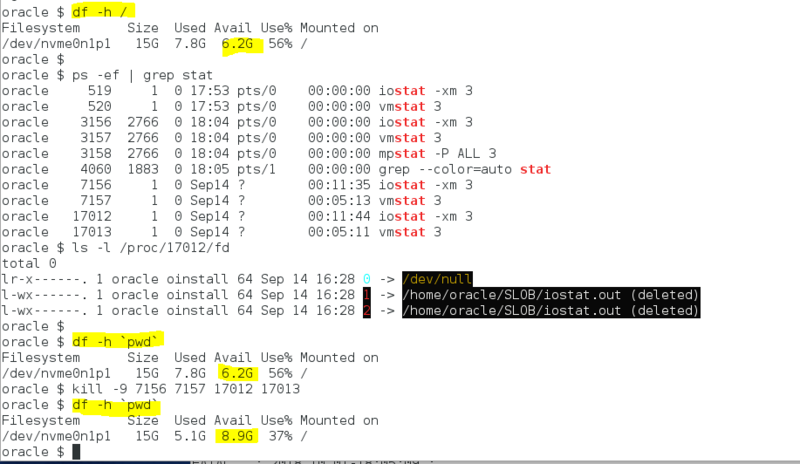 Job info: Loading 16G scale into 64 schemas as per pgio.conf->NUM_SCHEMAS. Batching info: Loading 16 schemas per batch as per pgio.conf->NUM_THREADS. Base table loading time: 23 seconds. Waiting for batch. Global schema count: 16. Elapsed: 0 seconds. Waiting for batch. Global schema count: 31. Elapsed: 243 seconds. Waiting for batch. Global schema count: 46. Elapsed: 475 seconds. Waiting for batch. Global schema count: 61. Elapsed: 697 seconds. Waiting for batch. Global schema count: 64. Elapsed: 935 seconds. Group data loading phase complete. Elapsed: 1014 seconds. 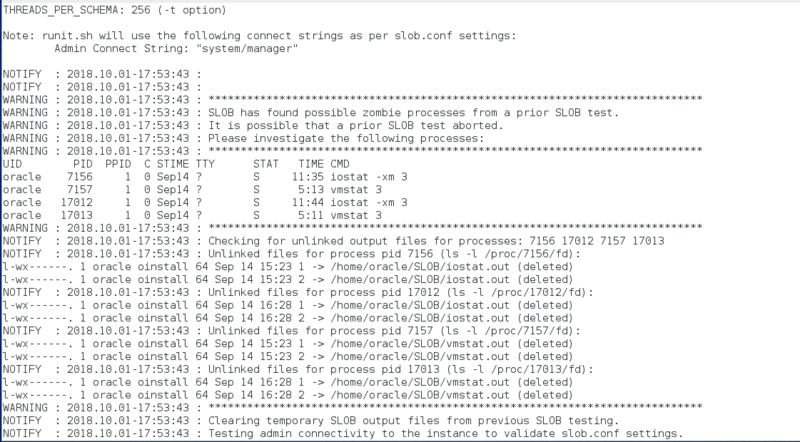 The pgio kit is the only authorized port of the SLOB Method for PostgreSQL. I’ve been handing out Beta kits to some folks already but I thought I’d get some blog posts underway in anticipation of users’ interest. pgio data is loaded into either a big single schema or multiple. NUM_SCHEMAS directs setup.sh to create and load NUM_SCHEMAS schemas. Controls the bounds of the BETWEEN clause for each SELECT statement as it executes. For example, if set to 255 each SELECT will visit 255 random blocks. 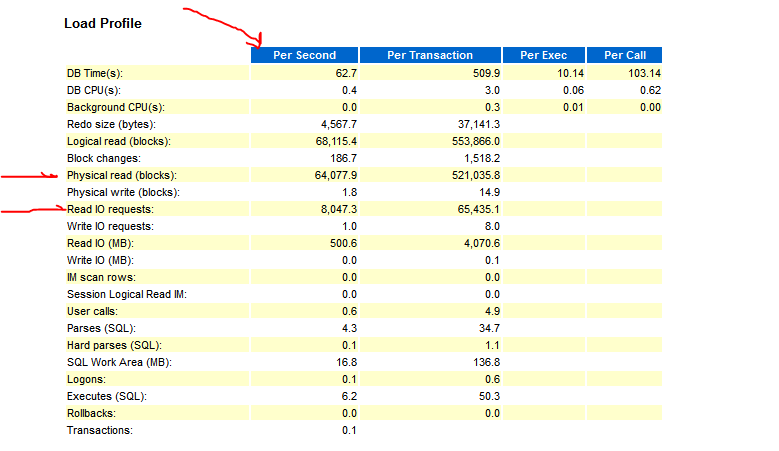 Smaller values require more SQL executions to drive the same IOPS. The UPDATE DML corollary for WORK_UNIT. This allows for a mixed SELECT/UPDATE workload where SELECT statements can visit more blocks than UPDATES. The amount of data to load into each schema. Values can be N as a number of 8KB blocks or N modified with [MG] for megabytes or gigabytes. For example, if set to 1024 setup.sh will load 8MB ( 1024 * 8192 bytes) into each schema whereas set to 1024M will load 1024 megabytes into each schema. The loader, setup.sh, creates a dense “seed” table as the source from which to load the test tables. This seed table persists after setup.sh exits. If this parameter is set to true the seed table will not be regenerated.